Get around the Western City with the PLAYMOBIL Express Stagecoach. 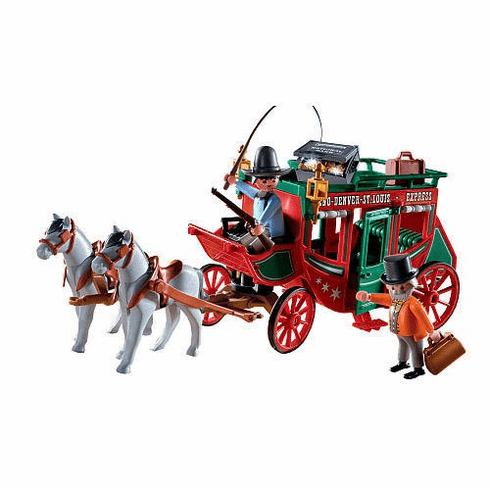 The set comes with a bank manager and coachman, two horses, money, and accessories. The mobile carriage has a removable roof for interior accessibility.